So in this post, we’re going to talk about how to successfully sell albums without all the stress. Then I’ll give you some additional free tools and bonus materials at the end that you can use in your business to make your album sales successful. Let’s dive right in. Albums are expensive. So it’s not enough to simply show your clients that they are nice, quality products and hope that they buy one. I’ve found that the best way to sell an album is to explain how it helps preserve their images for years to come (overcoming their fear of losing the images at some point). Then explain how it is one of the best ways to showcase this time in their lives. If they don’t understand the risks associated with only having the digital images, they may not be inclined to buy anything else. So once they understand the risks, they become much more likely to purchase an album. It helps them see the value of the album and makes them more willing to pay for one. So what are the risks of only having digital images? First, they have to remember to keep migrating their images to the newest technology. If they forget, they may end up with a CD of images but no machine with a disc drive that can access them. Second, every time you transfer a file from one place to another, there’s a risk of corruption. While it doesn’t happen often, it does happen occasionally and has happened to me personally. If they truly want to preserve their images long-term and not waste their money on something that may only last a few years, an album is a logical thing to purchase. Why waste all the money they are spending to do this photo shoot if they aren’t going to get something that will last? I wrote out how I share this with my clients word-for-word in the bonus materials below, along with permission to use it in your own business. Once you’ve sold an album, you’ve got to design it and deliver it to the client. There’s lots of things going on here that may slow you down, so let’s talk about how to make this as fast and painless as possible. I used to outsource my album design, but I still had to make all the changes myself and I still had to organize all my client communication and keep track of stuff. Not anymore. I recently purchased SmartAlbums after being blown away by their demo and how fast and easy it is to use and this streamlines everything more than I thought possible. Consider me an official fangirl of this software. Why? First, you can design an album in minutes. Literally. It takes less time to design an album than it did for me to upload and send all the info to the person I outsourced my albums to. It’s got templates from almost all major industry album providers, so no more worrying about exact sizes and such. It’s pre-programmed into the software. 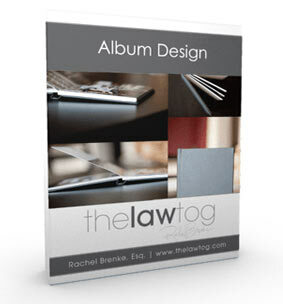 Because your pricing should be determined by your cost of goods and the value of your time, by cutting out a lot of the design time you can charge less for albums, making them even easier to sell. SmartAlbums keeps your star ratings from Lightroom, so it’s easy to find your favorite images for adding to the album. This makes selecting your images super fast. Once you’ve got your images selected, designing your album is as simple as a few quick clicks. It’s faster than I thought possible. You’ll see in just a moment, but I’m getting ahead of myself. Once it’s designed, you can upload it to the cloud for proofing (you get one year of cloud proofing free). Your client can leave feedback in real-time and can easily approve it once you’ve given them the final draft. Making revisions is also a breeze. The whole program is seamless and super easy, and it keeps everything in one convenient place. No more searching for revision requests or album approvals via email. It’s so nice. Back in 2010, I had a client pay for a big, beautiful album as part of their wedding photography package. 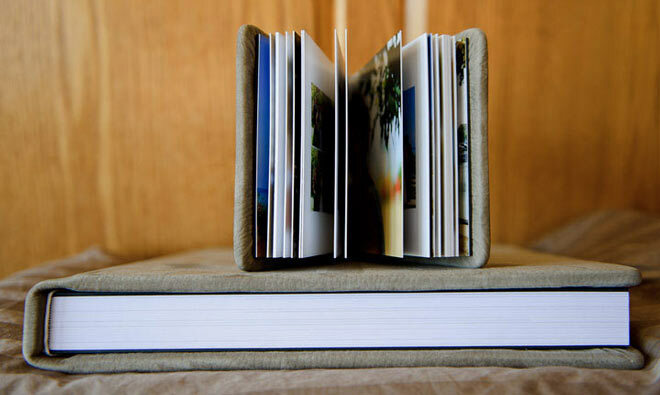 They got their wedding images, loved them, and then gushed over the album design I sent them. But then they fell off the face of the planet. I could not get them to approve their album order. It wasn’t until 2014 that they finally came back and ordered and approved their album. It cost me quite a bit more because album costs had increased in that time, and it was annoying to have to pull their images out of the archives again to make revisions. Thankfully, it taught me a big lesson that we implemented a few months after they seemed to disappear. We are now able to get revisions and album approvals all within 30 days so that we can order the album right away. No more waiting for years or months. We do this by having an album contract that outlines all our policies, including the policy that allows us to order an album as we see fit if the client does not get back to us within 30 days of receiving their initial design after ordering an album. Because we have this in a contract, and we tell clients about this several times during the process, they all get their changes and final approval back to us within 30 days. If you don’t have an album contract, you need to get one now. Rachel Brenke sells one at The LawTog. Check it out here (affiliate link). It’ll save you money in the end, and it makes your workflow much easier because clients know what to expect and stop putting things off. If you’re not already getting my exclusive email content, you’ll also be subscribed to that. However, if you’re not interested, you can easily unsubscribe with a single click. No hard feelings.